There are four hot summer budget battles ahead. 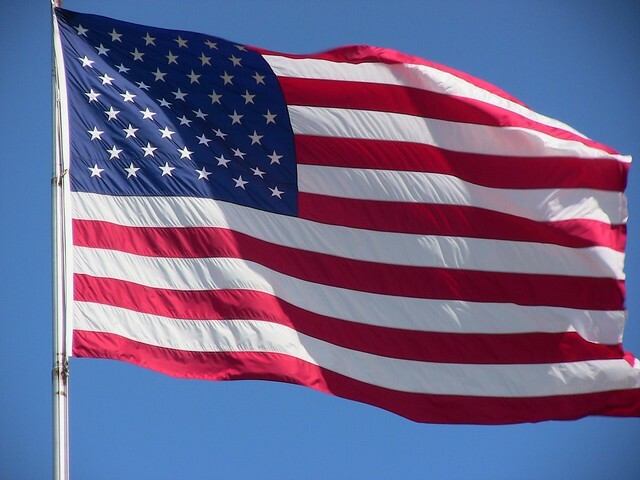 In honor of our democracy – and in support of a federal budget by the people for the nation – we'll cover each hot topic in detail between Flag Day on June 14 and Independence Day on July 4. Then, we'll keep you up-to-date on our blog as these battles heat up throughout the summer. The across-the-board cuts of sequestration are reducing funding for initiatives ranging from Title I grants for disadvantaged public schools to law enforcement to clean drinking water. See our resource page on sequestration and read our opinion piece, "How America Became a Third World Country." While lawmakers of both parties agree that sequestration is terrible policy – since it's indiscriminate cuts instead of deliberated budgeting – there's no sign yet of a deal to halt the cuts, which are scheduled to go on for a decade unless Congress agrees to cancel them. On May 21, the House Appropriations Committee determined how much discretionary funding it will approve for fiscal 2014 in all 12 areas of government, including Labor- Health and Human Services- Education; Defense; and Energy and Water. Under these projected funding levels, Labor- Health and Human Services- Education would see a cut of 18.6 percent as compared to fiscal 2013. Until an appropriations subcommittee decides how to allocate these steep cuts, it isn't clear how any particular program in this area of government would be affected. However, if each program sees an 18.6 percent cut, that could result in a $2.56 billion reduction for Title I grants for school districts with low-income students; $4.24 billion less for Pell Grants; and $1.42 billion less for Head Start, according to the Committee for Education Funding. Officially known as tax expenditures, tax breaks are written into the tax code to encourage some activity – such as home buying – by offering a special reduction in taxes. As the number and size of tax breaks has grown over time, the federal government loses money it would otherwise collect in revenue. In 2013, all tax expenditures combined will total around $1.2 trillion – more than the entire budget deficit. The House Ways and Means Committee has begun to look into options for reforming the tax code in general and tax expenditures in particular, and Congress is likely to try to tackle this issue this summer and early fall. Here at National Priorities Project we'll be releasing a series of interactive resources on tax breaks so you can see exactly what's at stake for you. In the mean time, check out Tax Loopholes: Not Just for Apple for a little background. July 8: The Home Mortgage Interest Deduction: Who Benefits? Recent reports from the trustees of the Social Security and Medicare trust funds projected that the Social Security program will begin to run into financial problems in 2033, while Medicare's hospital insurance (known as Medicare "Part A") will see problems in 2026. While these are not new findings, the recent reports on the financial status of both programs will likely bring attention back to possible long-term reforms. As we noted when these issues came up in the 2012 election, small tweaks to the Social Security program would restore its financial solvency, while containing health care costs in the Medicare program and across the U.S. economy is a central challenge facing lawmakers. Read our recent blog post on the human impact of Social Security and Medicare.